Supermarkets are full of ready-to-eat snacks these days—some are pretty healthy, others not so much. While I’m a big proponent of putting fresh, made-at-home meals into your mouth, in our go-go-go world even I like a little packaged convenience now and then. (And, let’s face it, bananas get boring.) Here’s what typically lands in my shopping cart each week. Here’s the beef! 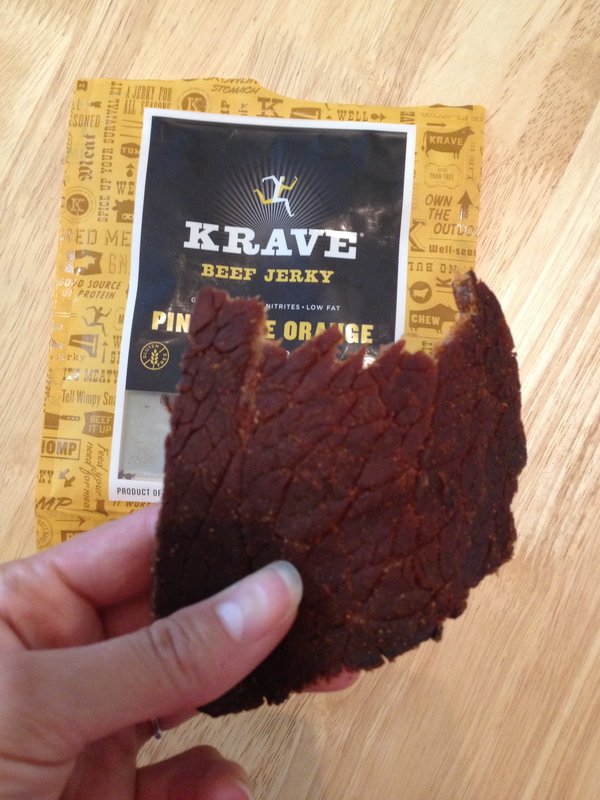 Every piece of Krave Jerky looks like fresh meat—‘cause that’s what they use to make it, natch. Krave Jerky Clean, healthy, natural is my mantra when it comes to packaged snacks, and Krave Jerky lives up to it! Not only are the ingredients quality (no nitrates! ), the inventive flavors make this meat treat a million times better than anything you’d find at a gas station. I like the beef options best—Sweet Chipotle tops the list for me, but the Black Cherry BBQ Pork is pretty darn tasty, too. In fact, Krave Jerky is so good that I convinced the suits that run the San Jose Sharks to stock their concession stands with it—you’re welcome! Jelly is full of added sugar, so I top a slice of Eureka! 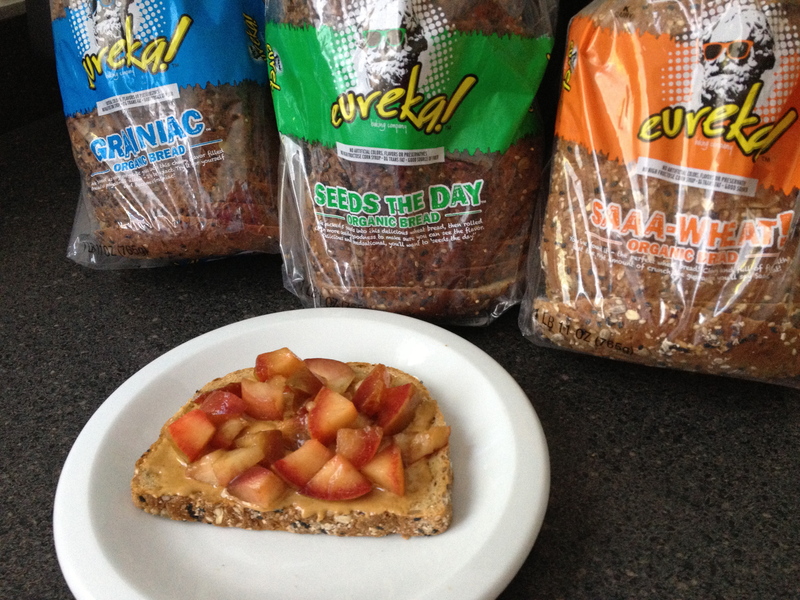 Saaa-Wheat Organic Bread with all-natural peanut butter and fresh fruit instead. Eureka! Organic Bread I’m not really big on bread—Michael K. Farrell is gluten sensitive, and I don’t usually buy food that he shouldn’t eat (since he eats EVERYTHING and complains about the tummy ache later…). But I love the loaves from Eureka! They use organic ingredients and slip a little something extra in every slice, specifically seeds and whole grains. Sometimes I mix Garden of Life Raw Meal into organic whole milk, which defeats the whole vegan thing but tastes incredible! 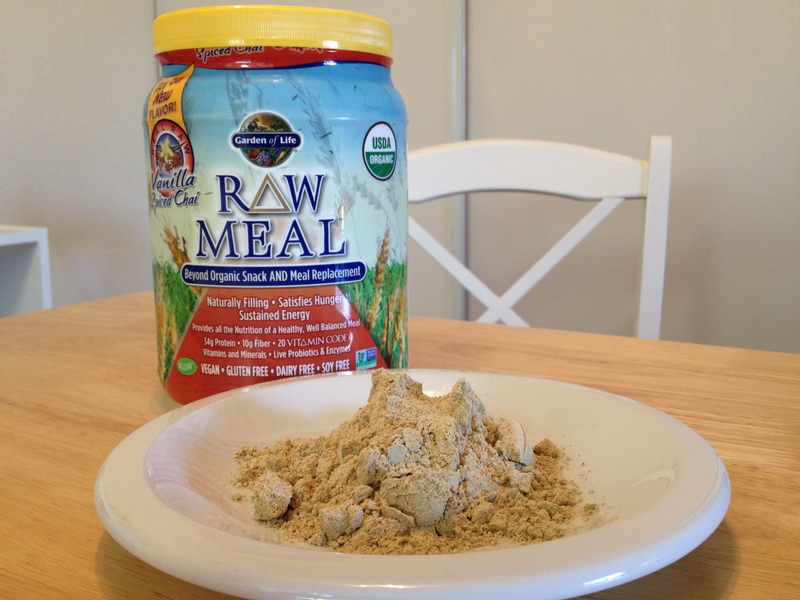 Garden of Life Raw Meal I’ve been adding this potent powder to my post-workout smoothies lately. It offers 34 grams of protein per serving, and it’s loaded with all kinds of good-for-you nutrients. Plus, it contains pro-biotics (live cultures also found in yogurt) to aid digestion. The Vanilla Spiced Chai flavor is my favorite—it has the power to transform ordinary water into a creamy, delicious snack. Disclaimer: All of these items can be purchased at Sprouts Market. I was not compensated by any of the brands featured for writing this post. The opinions presented are mine and unbiased.